Tired of the crashing & bashing of ball play in the house? This one's for you! What I love about the Chuckit! Indoor Ball and its thrower is that it's a sturdy enough ball that you can play in the house without those loud crashing sounds that heavy balls create. Although it's lightweight it's still dense enough to throw. 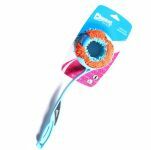 Dog's love the gentle soft texture and the texture is great to help keep noise down. It's about the size of a grapefruit, but even small dogs can carry it due to the texture. We can kick, throw, roll, and bounce this ball around without having to worry about anything breaking. 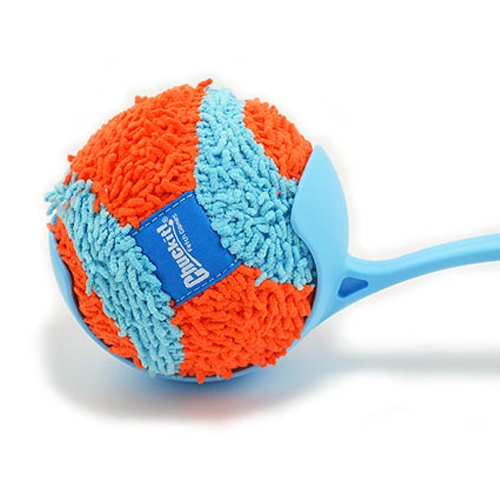 This ball is durable but do use some smarts. 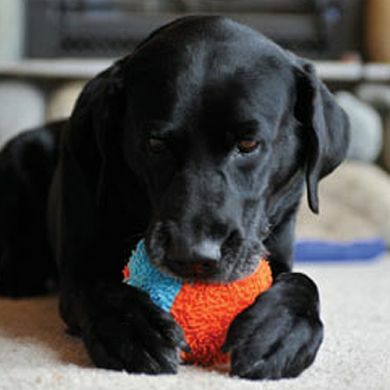 If your dog is bent on destroying soft toys this probably isn't for you. And these balls aren't designed to be chomped on when you're not around - they can be chewed up and swallowed. 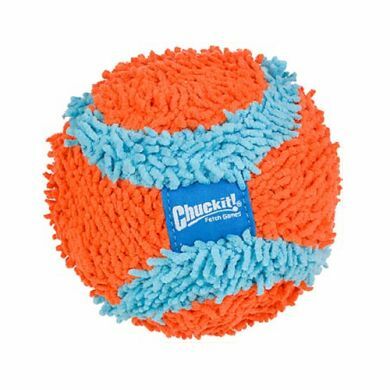 This ball is designed for interactive play with your dog. Don't leave it out when you are not there to supervise. Although it's light weight it's still dense enough to throw and dog's love the gentle soft texture. The soft yarn texture is great to help keep noise down. What makes the Chuckit! Indoor Ball great?